You may remember Delaware Senator Joe Biden from political blockbusters of the past such as, "The Clarence Thomas Hearings," the "1988 Presidential Campaign," or "The Clean And The Articulate." Now he's back for his greatest role as Barack Obama's vice presidential running mate. Obama's decision to select a politician who has served in the United States Senate for 35 years to be his vice presidential running mate shows just how dramatically the political ground has shifted in the two short months since the Illinois senator wrapped up the Democratic nomination based on a message of changing the way politics works in Washington. The "change" candidate has found the need for some "inside the Beltway experience" after all. A staple on the "short list" of potential running mates for Obama, Biden's selection is still something of a surprise for a candidate who has built his candidacy on the premise of not only change, but of reshaping the partisan political landscape that has dominated American politics for a generation. Biden fits the description the candidate has laid out in recent days - ready to be president, willing to push back against the boss and show his independence and in-touch with how most Americans live. At first glance, it's both a wise and a risky choice. The senator brings some real strengths to this ticket. He's one of the most respected foreign policy minds in the Senate, something that was reaffirmed by his quick trip to the nation of Georgia during the recent crisis there. Like his longtime friend John McCain, Biden has a reputation of shooting from the hip - an endearing quality that has also caused him plenty of trouble such as when he called his now-running mate "clean" and "articulate." And, like his sudden adversary McCain, Biden also has one of the most compelling life stories of any politician on the national stage. First elected to the Senate at the age of 29, Biden lost his wife and infant daughter in a car accident just weeks afterwards. A relative pauper in a chamber of millionaires, he commutes to his job by train nearly every day, residing in Delaware, not Washington. In his first bid for president in 1988, Biden was embarrassed out of the race after quoting liberally from a speech by a British politician - and failing to credit. But in his second incarnation as a presidential candidate this time around, he distinguished himself as one of the best debaters on a stage that included not only Obama, but Hillary Clinton as well. Voters in Iowa and elsewhere often mentioned Biden as their favorite candidate but they just felt he didn't have a chance in a top-heavy field. However, it may well be the negatives Biden brings that will ultimately determine whether this was a good selection or not. The message that propelled Obama to the nomination was one of change - not incremental change or minor change but fundamental and transcendent change. The old ways of Washington were broken, the candidate insisted, and nothing less than a clean sweep could solve it. For all his positive personal qualities, Biden is nothing if not a definition of entrenched Washington politics. Throughout his decades in the Senate chamber, Biden has been a primary combatant of some of the ugliest political fights of a generation. As chairman of the Judiciary Committee, he presided over the confirmation hearings of Clarence Thomas and Robert Bork - two episodes which helped set the tone of political recrimination that lasts to this day. His voting record is filled with hundreds of the kinds of votes which have kept senators out of the Oval Office since John Kennedy was elected in 1960. He voted in favor of authorizing the war in Iraq, something he has said was a mistake but the very thing which Obama used to hammer Hillary Clinton in the primary campaign. And there are few issues on which Republican won't be able to find some ways to illustrate differences between Obama and his running mate. It's a mixed bag of a selection when looking at the pure political calculations as well. 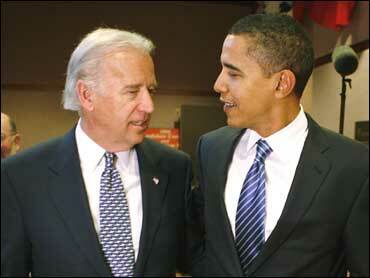 Biden fills many needs for Obama. He has the kind of foreign policy chops Obama doesn't. He's a Catholic, a crucial constituency in any presidential campaign. He will be a formidable debate opponent for any Republican who goes up against him, and Biden has proven that he's effective on the attack - just look at his insistence during the primary that Obama was not ready to be president. He doesn't necessarily fill any real electoral needs for the ticket, however. Biden may be from blue-collar roots, but with his voting record, it won't be hard for Republicans to paint him as one more politician in a long line of northeast liberals whom the Democratic Party has trotted out in the past. He often suffers from the kind of verbosity and Senate-speak that sounds like Mandarin Chinese to most voters. For a candidate who has built up sky-high expectations about new directions for the country, Obama's decision to select Biden is at the very least an admission that deep experience is a needed component in governing. At the most, it's a nod to incremental change over the type of wholesale reinvention he has advocated in this campaign. In either case, Joe Biden adds a complicated component to an already historic campaign.